I'm sure most of you have seen the typical "How to make a million NP" articles in The Neopian Times; however, I'm here to instruct you not on how to make NP, but how to give them away. Yes, that's right. 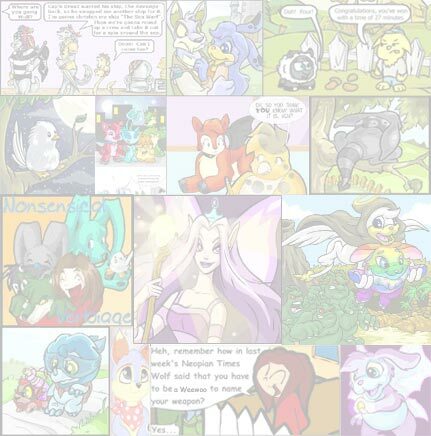 After all, Neopets was made so people can make NP to take care of their pet, not so people can make a million NP, stash them away, and feed their pet an omelette a day and give them a single green fuzzle to play with occasionally. Some people do not even have enough NP to feed their pet and buy them a single toy. Many reasons are possible for this; perhaps they do not know their way around Neopets well enough and can' t take advantage of things like Coltzan's Shrine or the Shop Wizard, or maybe they don't know how to play the games. In any case, they need to be helped, and those with enough NP for themselves and some to spare can help them. I have written a series on the ideal Neopia and how we can help Neopia become a better place, and yes, this first week, I wish to discuss donations and how we can help the poor of Neopia. In this series, I will be stating my opinions on various things, and I know that everyone is entitled to their own opinion. I just want to A). let my opinions be known and B). try my hand at persuasive writing. If you disagree with any of my statements, please don't take offence. This is just what I think. Anyway, back to talking about this week's topic. I'm not talking about answering a couple of questions on the chat board. Don't get me wrong, I fully approve of helping newbies with their questions and things, but in fact, I'm getting down to one of the things people often don't like to do-donating items and NP to the Money Tree. Many may not know about the Money Tree, and so we should make them aware of it, whether it be through guilds, Web sites, or the chat boards. That is step one. Step two is the hardest for most people. We must donate. You don't necessarily have to part with all of your hard-earned cash; in fact, I've come up with a way to donate that works wonderfully. Pick a couple of fun games that you may not be very good at or don't give much NP as a reward. I have picked Dubloon Disaster and Usuki Frenzy. The games should not be a huge source of your income. For example, if you get 900 NP per game at Evil Fuzzles, you shouldn't pick that game. Pick one where you maybe get 90 NP or less for each game you play. Play these games three times each, and donate the amount you make to the Money Tree. As for items, you should donate items you don't need, but someone else can use. For example, you may not have much use for a box of wheat flakes that you got from the Tombola because your pets are well fed and you can't make much NP off it, but I'm sure a poor Neopian who can't afford nice gourmet foods for their pet can feed it to their Bruce or Uni. Therefore, you can donate it knowing it will help some little pet in need. Even little Toy Sailboats can be helpful; if a poor Neopian grabs it, he or she can sell it for even one NP, and every little bit helps, especially for those people. Once in a while, you might want to give more valuable items, like a book that you can't profit from or even a codestone or faerie. NEVER donate harmful items to the Money Tree. A great deal of the poor Neopians are newbies, not knowing harmful effects some things can have on their pet. One of my pets got Ugga Ugga from eating a Rotten Omelette, and the newer Neopians might not know about these effects. If you get a hold of one of these items that you cannot sell, then I suggest you discard it immediately. There are other ways to contribute to the good of Neopia as well. You can answer questions on the Newbie board, visit the Quest board and give a needed quest item or two to a Newbie, set up a wishboard on the Help or Newbie boards, create a Web site for Newbies explaining some of the things many Newbies may be confused about when they first join (Shop Wizard, Tombola, Shrine, etc.) and how to play some of the games... the ways are countless. That is how I suggest you contribute to the good of Neopia. I have often seen that the goal of many Neopians is to simply get as many NP as they can, and store them away carefully in the bank, collecting their huge amount of interest everyday, but before you do that, you should help as many poor Neopians as you can. 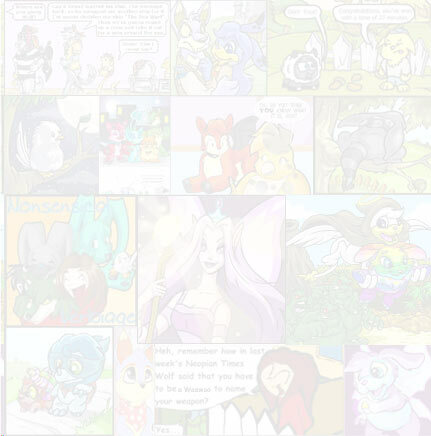 In this way, Neopets will be a fun, happy experience for everyone! In the ideal Neopia, no one would be hopelessly poor and newbies would feel very welcomed by advice from longer players. Everyone would start out rather poor, of course, but others would help the newbies master games and find out about helpful things like the Tombola and the Snowager, and everyone would be able to easily make a Neopian living. These steps will help us get a running start!